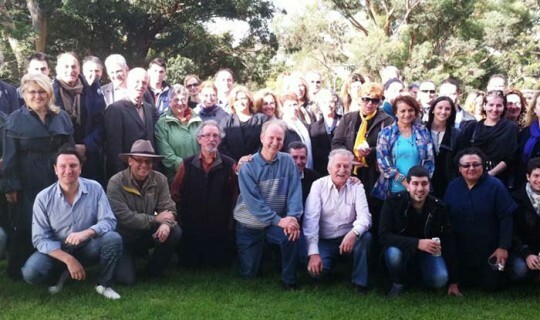 On Sunday 22nd May, 2011 a BBQ was held at Alphington Grammar for the teachers of Modern Greek in Melbourne. Over 60 teachers and friends enjoyed a leisurely Sunday afternoon within the grounds of Alphington Grammar. The event provided an opportunity for teachers of Modern Greek to meet and discuss matters pertaining to the teaching of the language. During the course of the afternoon the President of the GOCMV Mr. Bill Papastergiadis, the Principal of the GOCMV schools Mr. John Milides, the President of the Modern Greek Teachers Association of Melbourne Mr. Christos Tsiatis and the Hellenic Consul General for Education Mr. Charalampos Ladopoulos greeted all those present and thanked them for their tireless efforts in promoting and teaching our language.